Do you want to build online furniture store and sell chairs, beds, sofas and other furniture online? Would you like your online store be successful? It means your website should be designed beautifully and suitable for these kinds of furniture. 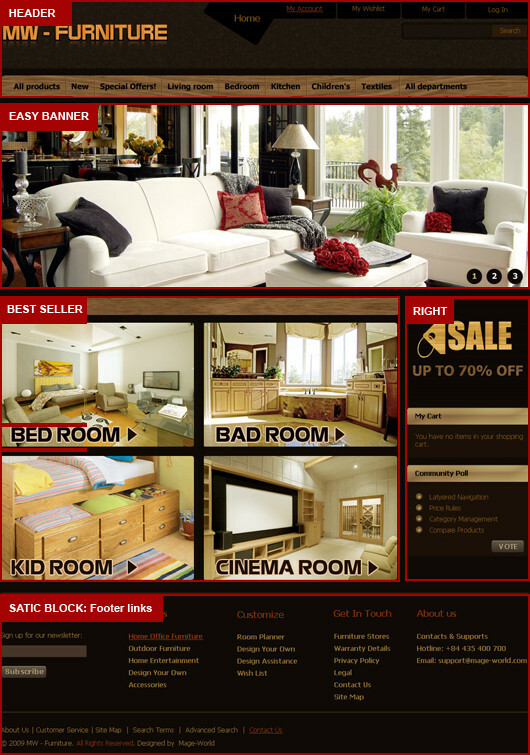 We offer leading-quality Magento Themes for furniture websites. It has been designed by professional web developers and can be easily customized according to your needs. 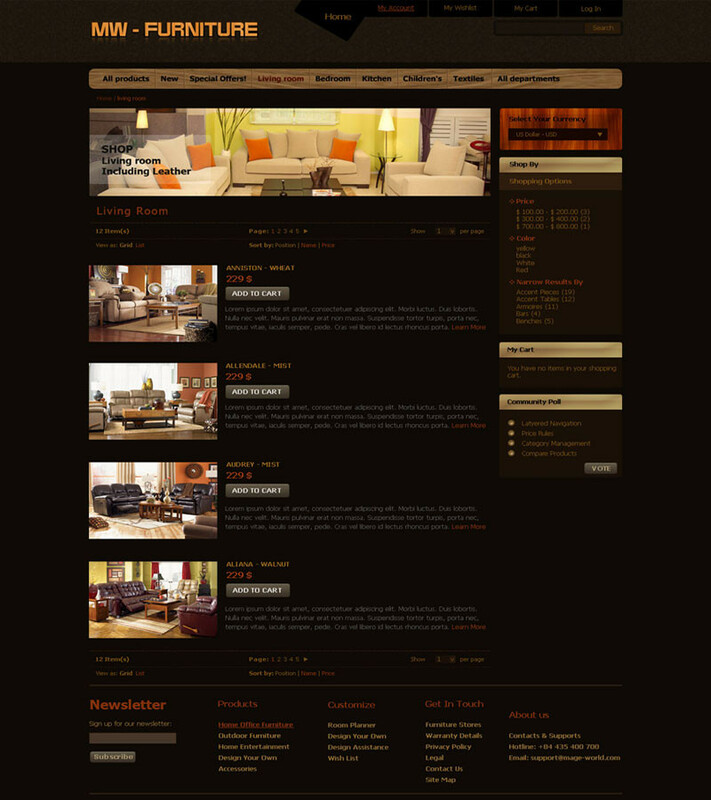 Furniture Magento Theme fits all Magento requirements and fully support all Magento versions. So it can be wonderful design for your eCommerce websites. Beautiful banners on home page looks great and makes face of furniture stores. Great colors with combination of light and dark grey make it clean and professional.